There were 51 players that took part in the George Rogers Memorial at The Grey Horse in Darlington on Saturday. With players travelling from Scotland, Northumberland and Teesside, the field attracted some great players. 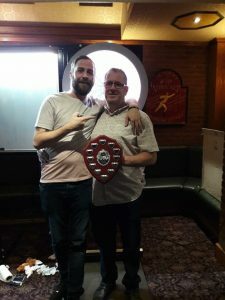 Tony Wood overcame Carl Hamilton 6-1 in the final to be crowned the Champion for 2019.